Massdrop This little guy can handle your power needs. If you’re in the market for a no-nonsense, no BS amplifier, the internet legend Objective 2 amplifier is currently available on Massdrop for $79.99. Designed by an audio engineer that went by the name NwAvGuy, the O2 amp (and ODAC) were designed to provide an objectively excellent performance using inexpensive parts. Many headphone amps will add coloration or affect your sound in various ways, but the O2 really doesn’t. 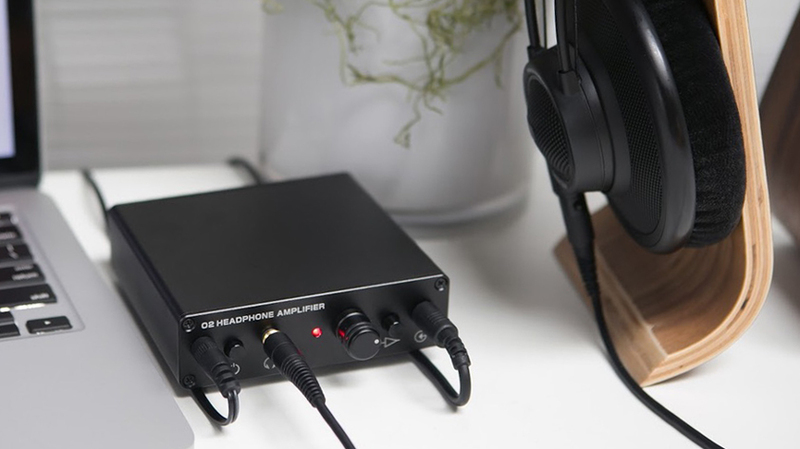 As someone who knows firsthand how well this amp works with even high-end headphones, I can tell you that this is a great desktop amp to get if you need the extra power (but don’t want to spend a lot of money). This particular unit is manufactured by Massdrop, and can be tailored to add RCA inputs and different power sources. Units are expected to ship July 25, 2017.